Dear Readers, if I haven't told you lately how much I adore you let me tell you again. Not only do you read my ramblings without prejudice, you pass on recipes to me, email me lovely messages, send me cards and food and give me restaurant recommendations. For that, I thank you!! Cuckoo Callay was a cafe recommendation given to me by Dear Reader Marla. She happened upon the cafe and it is now her go-to coffee place. Located at Newtown Train Station and not visible from busy King street, you see it just as you enter or exit the station where it sits in a former derelict tram building. 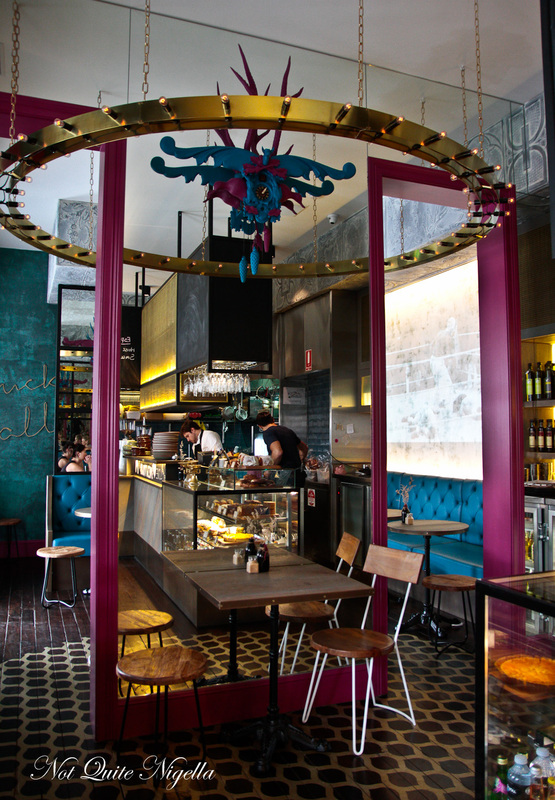 The cafe itself is large with clever details designed to get around heritage rules. There are two custom made cuckoo clocks hanging on mirrored walls while the logo references a cuckoo bird with a coffee cup cut out of it. 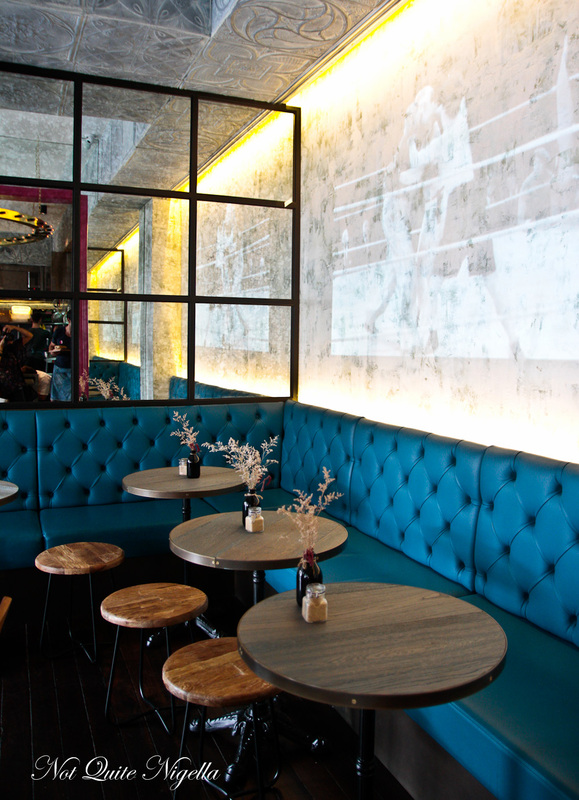 One wall plays black and white boxing matches and Charlie Chaplin movies while diners sit on feminine banquettes. Staff wear custom designed denim aprons and are friendly and accommodating. The name Cuckoo Callay is a twist from the Jabberwocky poem by Lewis Carroll. 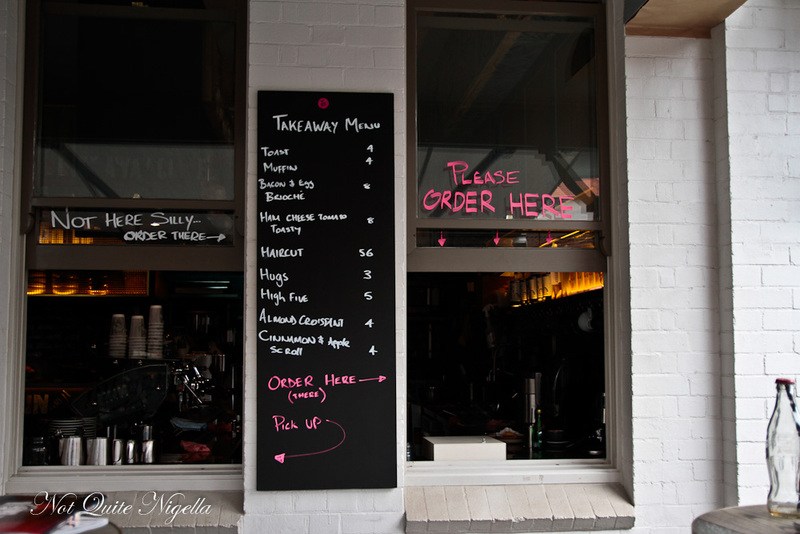 Consulting chef Kayne Papworth from Melbourne's Proud Mary has created the food menu. Two of the three business partners Stevan, Ibby work on site and Ella is the third. 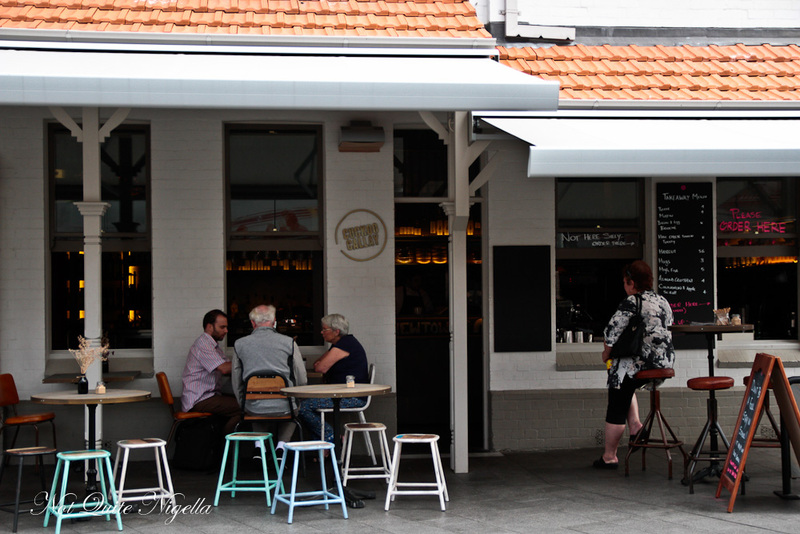 None of them have owned a cafe previously but Stevan's parents have a long standing cafe in Wollongong. 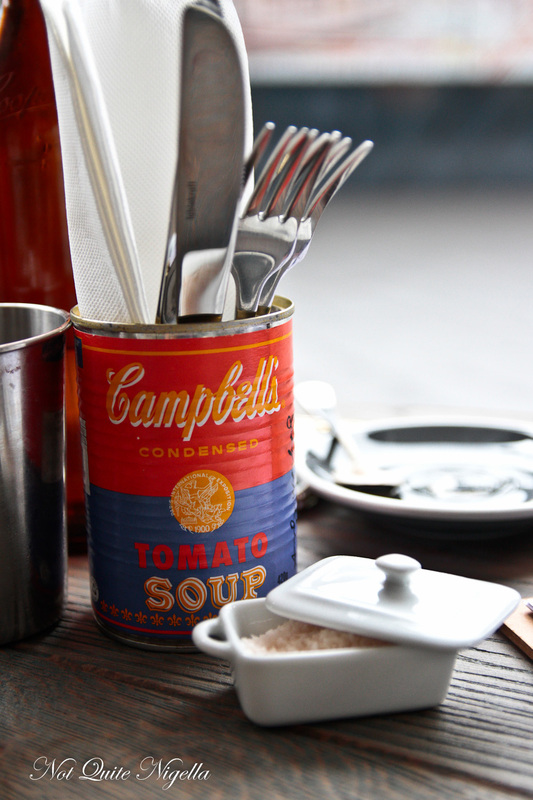 The menu has an all day brunch until 3pm and a lunch menu. 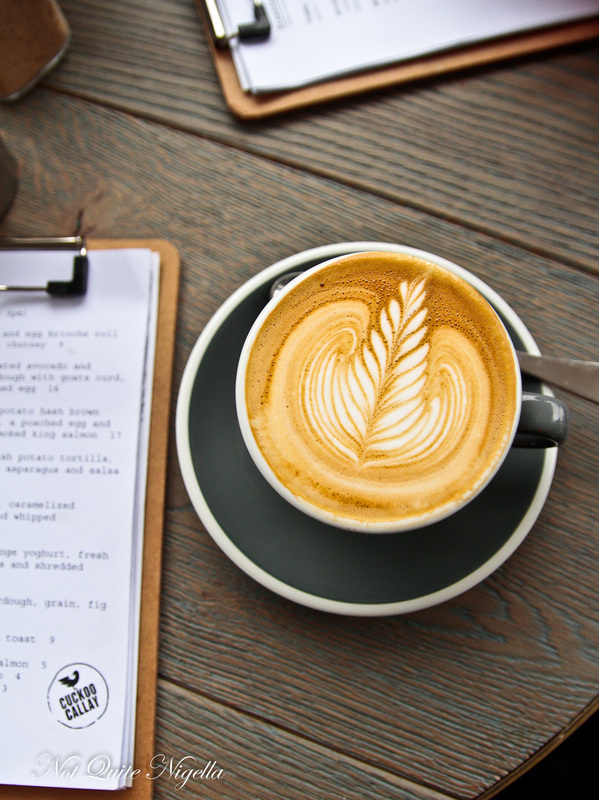 Coffees are by Single Origin Roasters. My latte is excellent and smooth. Belinda and I choose a few items to share - I'm hungry as I've skipped breakfast. 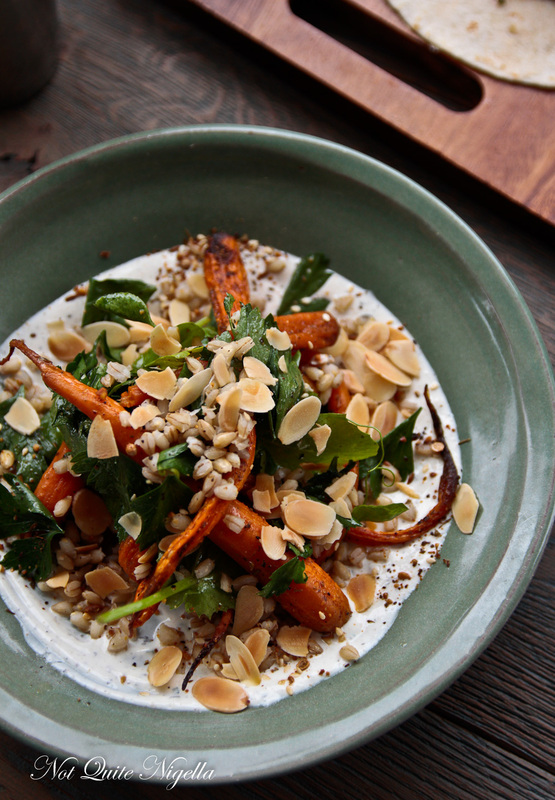 The roasted Dutch carrot salad is fabulously fresh with sweet roasted carrots, barley, flaked toasted almonds, dukkah and plenty of fresh herbs on a bed of yogurt. 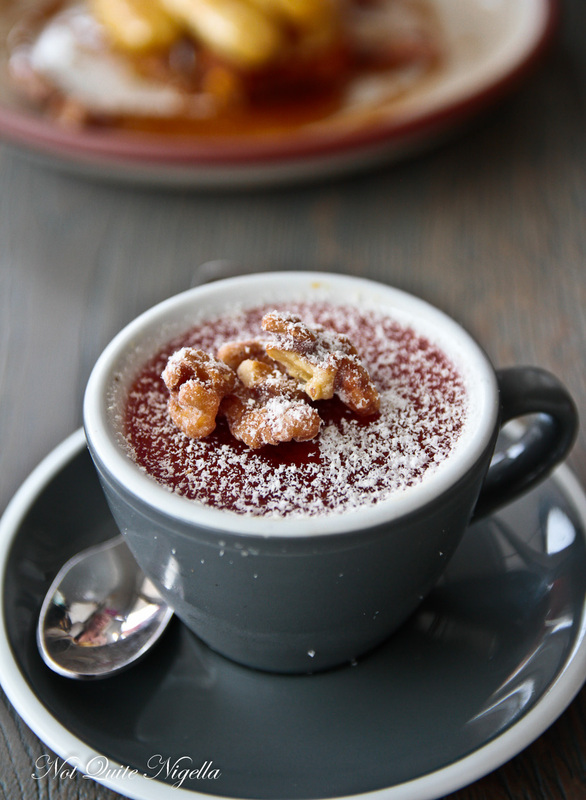 It's wholesome and well balanced and something like this puts it a cut above many cafe brunch offerings. Even though we had three mains, Belinda and I didn't leave any of the crispy pork tacos behind. 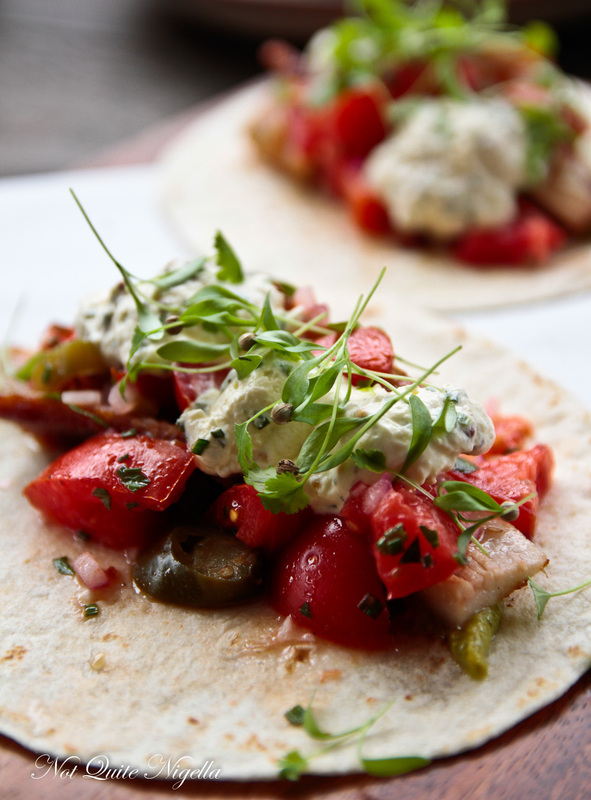 The pork belly slices comes with with extra pieces of crunchy pork crackling and are served with a flavoursome mix of guacamole, tomato salsa, jalapenos and sour cream. We lean forward to avoid drips and eat eagerly. The #hashtag brown is a disc of shredded potato where the potato is firstly steamed to make it tender and then fried so that it is super crispy. 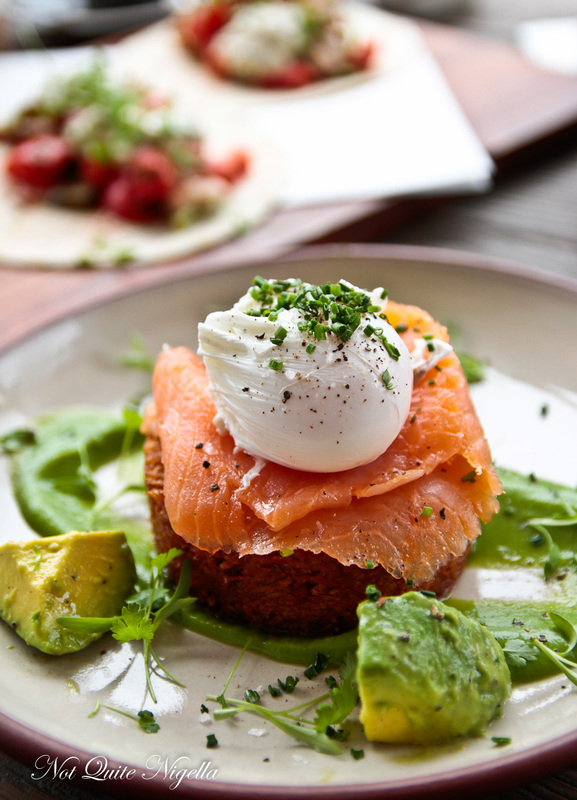 It is served with a silky pea puree, avocado chunks and smoked king salmon and a poached egg on top. We would have loved the yolk a bit runnier to dress the rest of the dish but the rest is crunchy potato heaven. We made sure to leave some room for dessert and we order a couple although there is a full pastry display on offer too. The creme brulee is a light pink from the beetroot and there's a little earthiness in the end but we don't really get enough of a hit of beetroot and raspberry and the white chocolate is very sweet. We'd love this with more raspberry to counter the sweetness. 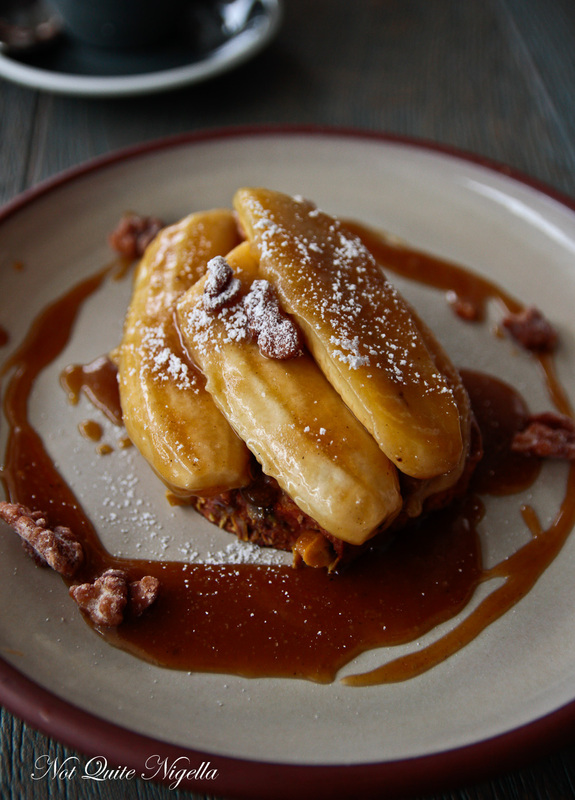 I think this dish might have made a banana lover out of the banana apathetic Belinda. The house baked banana bread is generously sized and served warm. It is topped with four pieces of caramelised banana, toasted candied pecans and whipped mascarpone. It's the kind of dish that you'd feel no guilt about ordering as your main brunch because it's that moreish. Deals are mentally made to trade in the choc top at the movies for more bites of this. So tell me Dear Reader, do you read reviews or get recommendations before visiting a place or do you go sight or word unseen? And for brunch or breakfast do you more often choose savouries like eggs, salad or hash browns or sweets like banana bread or French toast?